Currently, the most difficult fixture in International football would be meeting giants, Germany. 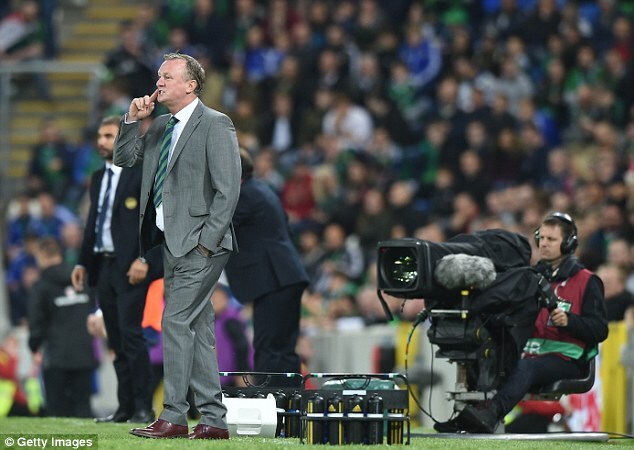 At least this was the position of Michael O’Neill, the manager of the Northern Ireland team. O’Neill who hardly makes grand statements believes that among all of their other World Cup Qualifying fixtures, the hardest was that against Germany. The game against Germany ended in a loss as Northern Ireland were beaten 2-0. Goals by Julian Draxler and Sami Khedira were enough to ensure that the world champions got away with a third successive win in the Group C qualifiers, having previously won their games against Norway and the Czech Republic. “I’m not sure there is a system in world football that can contain Germany at this time. We came here with a plan to try to nullify a fantastic team with fantastic players. That plan is always great if [you] can keep the score at 0-0. Löw on the other hand believes his team’s victory against the Irish was nothing more than a fairly effortlessly victory. Having previously told his players to outperform through these World Cup Qualifiers and take no prisoners, the win was an anticipated one. The duo of Mario Gotze and Toni Kroos were enough to ensure that the defense of the Irish men was opened up. With this win over Northern Ireland, Löw so far has now been able to obtain 94 wins since taking over the reins of leadership at the German national team. This feat now equals that of Sepp Herberger.